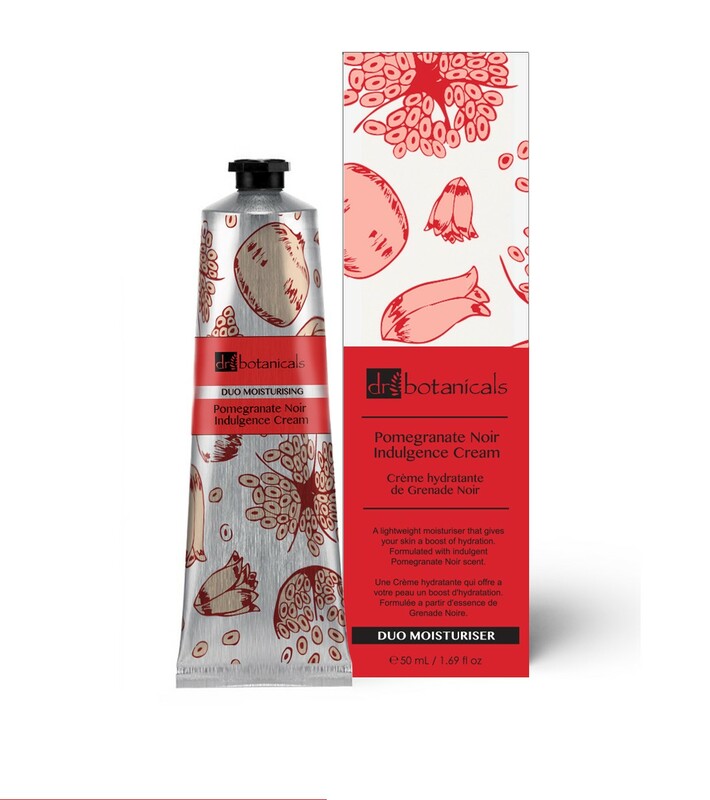 Boost skins hydration when applying the Dr Botanicals Pomegranate Noir Indulgence Cream. The lightweight moisturiser is formulated by Dr Botanicals ethos of believing oils and plant extracts can make a genuine difference to skin. Never tested on animals, each product from all the ranges embodies their belief in the potent power of botanicals. The Pomegranate Noir Indulgence Cream incorporates two active ingredients in the formulation to provide for dry, normal or oily skin types. High in antioxidants and fatty acids, coconut oil gets to work by providing hydration, whilst restoring balance to skin and protecting it. The cocos nucifera oil molecules are small, which help for better absorption, whilst also preventing and fighting free radicals that may cause damage to your skin. The natural and amazing antibacterial ingredient provides a range of benefits to the skin and will leave it perfectly moisturised and conditioned. The tiare flower (Gardenia Tahitensis Extract) provides excellent skin conditioning, whilst working to deeply hydrate and nourish skin for a healthier complexion. The other ingredient glycerin, which is considered a humectant because it attracts moisture onto the skin, provides essential moisture helping skin become soft and supple thanks to it being an emollient. Applying the Pomegranate Noir Indulgence Cream to skin using two fingers, gently spread the moisturiser upwards and outwards from each dab on your face. Use a swirling motion to blend the moisturiser into your skin. You only need a little to use, as the texture is really lightweight it spreads and glides over the skin easily, before absorbing really quickly. Skin is left perfectly hydrated with a smooth base for you to proceed to apply your SPF, Primer, BB Cream or Make Up. 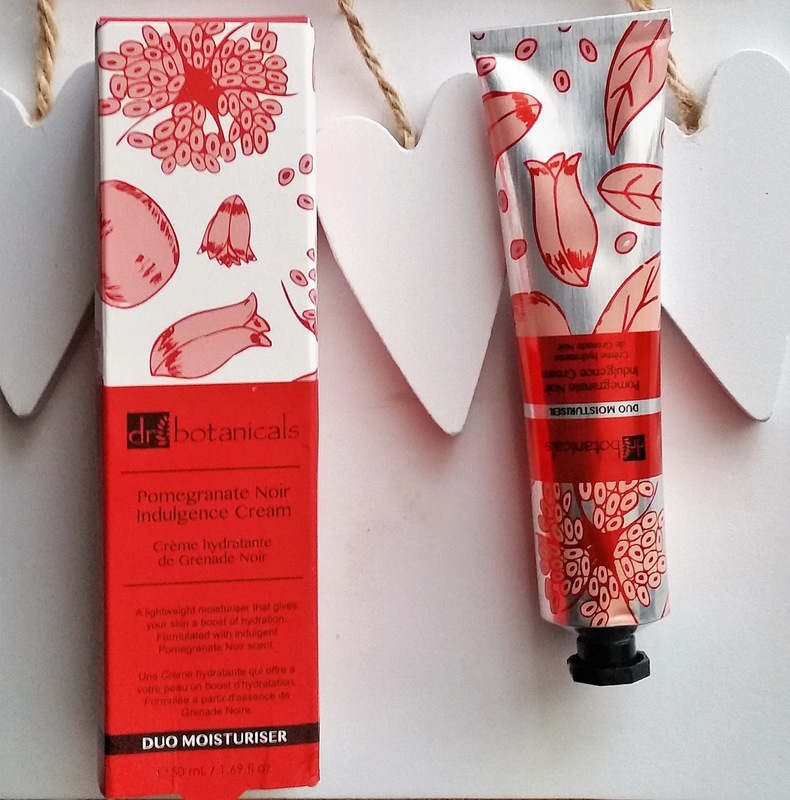 A lovely duo moisturiser to add into your skincare regime (layering your skincare products) if your wanting an extra boost of hydration and is also bag friendly to boost and protect skin throughout the day (A great emergency product to use on dry hands). Your senses are also bathed in luxury by the sensual indulgent pomegranate scent, find out more by visiting Dr Botanicals. X Neil.